Assigning a phone number to a user in Skype for Business Online requires you to first assign an Emergency Location. The Emergency Location is used for saftety and liability purposes in case someone were to dial an emergency number (ex: 911 in the USA). The location is sent to the PSAP (Public Safety Access Point, i.e. police, firefighter, ambulance, etc) so they can show up to the correct address and provide help. Take a look at the picture below from my tenant. Notice under 'Dallas,' my address is listed. Underneath 'Dallas' is my actual apartment number (all addresses blacked out for privacy). Skype for Business Online allows for a parent/child relationship with Emergency Locations. For example, if there are multiple floors in a building, you could create a parent location of 'Minneapolis Office' with each floor of the building as a child item (Floor 1, Floor 2, etc). While this flexibility is great, it presents problems when assigning Emergency Locations in bulk for new users. Lets say I want to assign 50 users to an additional location listed under 'Dallas' above. I haven't found a good way to bulk assign locations in the admin panel, so I'm going to use PowerShell instead. If anyone has found a better way of dealing with 'additional locations' within PowerShell, feel free to leave a comment below. 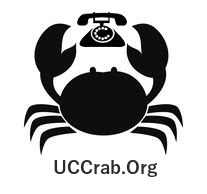 Josh Crabtree (UCCrab) is a UC Engineer at Exeter Finance. This blog shares his field notes as he deploys and supports various UC technolgies. Josh resides in Dallas,TX with his wife and dog. Copyright © UCCrab 2018. All rights reserved.. Simple theme. Powered by Blogger.